Feather pillows are types of pillows filled with the plumage of ducks, geese, and other waterfowl. These pillows are stuffed mainly with exterior feathers, which are relatively coarse alongside small quantities of underside plumage which are known as ‘down’. These provide an extra element of softness. Feather pillows have the qualities of being durable and long lasting. These have a lot less body heat retention which allows sleep time to be fairly cool. These pillows are also mouldable enough for sleepers that like to burrow into their pillows during the night. These pillows are affordable and soft. To buy the best fit for yourself read on to learn more about these pillows and how they compare to other pillow options. Read our latest guide about the best firm pillows. The feather pillow consists of no more than 70% down fill and at least 30% exterior feathers. Feather pillows that contain more 70% or more down percentage, it is sold as a down pillow. In some cases, the pillow manufacturers do not indicate the ratio of down-to-feather fill, but it can be assumed that any pillow labeled and sold as a feather pillow consists of less than 70% down. More often than not, the majority of feather pillows have roughly 90% to 95% feathers and only 5% to 10% down fill. In most cases, the exterior feathers make up the interior while the down is placed along the edges of the pillow to lend a softer feel to the pillow. Most feather pillow covers tend to have a relatively high thread count in order to hinder the feathers from escaping their confines. Read our complete guide about the best latex pillows. Standard:The Standard pillow is by far the most popular pillow size when compared to other pillows in terms of sales. Except for particular Euro sizes, the standard pillows are typically the shortest and most compact size available. They also tend to be the most cost-effective. The average dimensions of a standard pillow are 20W” x 26L”. Super Standard:The Super Standard pillow is typically two inches longer than standard pillows. 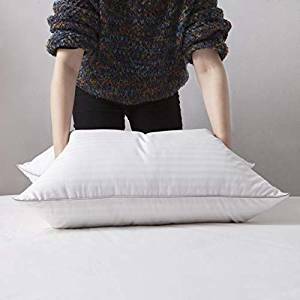 These pillows are meant for the people who find standard sizes too small but do not toss and turn too much during the night. The average dimensions of a Super Standard are 20W” x 28L”. Queen:The Queen-size pillow is typically four inches longer than Standard pillows. These are meant for the restless sleepers, the people who toss and turn or shift positions during their sleep and find the Standard size to be too compact. The average dimensions of a Queen-sized pillow are 20W” x 30L”. King:The King-sized pillow is generally the longest size, measuring six inches longer than a Queen and 10 inches longer than a Standard sized pillow. The King-size pillow is meant for the people who have restless nights, tossing and turning. These also serve as headrests or backrests for those individuals that like to sit up and read or watch television in bed. The average dimensions of a King-sized pillow are 20W” x 36L”. Euro:The Euro size is uniquely square shaped and comes in a wide range of different dimensions, ranging from 26W” x 26L”, 24W” x 24L”, 22W” x 22L”, 20W” x 20L”, 18W” x 18L” and 16W” x 16L”. Feather pillows made up of goose pillows are typically stuffed with the wing or back feathers of geese. Goose pillows are usually the more coveted option over duck feather as they are of better quality. However, this also means that these pillows more expensive than duck feather pillows. The color of these is purer, being a solid, snowy white. While the outer cover typically disguises the white color quite well, in some cases the white peeks through. The best pillows are usually a combination of goose feather and goose down combination which can be of any mixture ratio, although the percentage of the feather is mostly higher than down. The duck feather pillows less costly than the goose feather, however, it does not compromise on comfort and quality. The good selections in this category can be found at a low price point. Duck feather pillows are less popular than geese, perhaps due to the price being in more or less the same bracket yet the quality of these being a bit lower. Regardless, there is a wide range of these readily available online and in large department stores. In this case, the filling is slightly off-white in color, but this shouldn’t make a difference if you make use of pillowcases. Sometimes, manufacturers opt for bleaching the feathers for a purer finish, however, this somewhat reduces the natural element and is unnecessary. Amongst the best feather pillows are those which are stuffed with some amount of down filling. The down filling acts like a fine protective layer which exists underneath the top layer of birds. The down filling reduces stiffness and firmness, producing a more soft and plush feel, as feathers alone will be quite firm and stiff and perhaps somewhat uncomfortable. The pillows which have a small percentage of down (as opposed to none at all) tend to be of better quality and slightly more expensive. The common mixture of Down pillows is anything between 5-50% down with the remainder being feather. The cover or outer shell of feather pillows is more important than you think. This portion of the filling is the one on which your head, neck, and shoulders will rest on all night depending on your sleeping position. The best quality covers are usually offered as 100% cotton with a 200+ thread count which is the perfect amount whereas the other options would contain a percentage of polyester blend alongside cotton which indicates lesser quality. 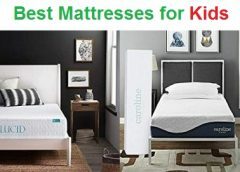 Similar to shopping for a mattress, you will want to consider how soft or firm the pillow is as this determines the level of support provided by it when it is in use. Pillows that are a little too soft will give low levels of support. Pillows that are too firm tend to be painful. As a general rule, feather pillows are almost always a medium-soft and provide less neck support in comparison to others. However, on the plus side due to these properties, these pillows can be easily shaped which is why they are usually considered the best pillow for stomach sleepers. Feather pillows are sold at various brick-and-mortar outlets and online home goods retailers, ranging from Bed Bath & Beyond, Walmart, and Macy’s, as well as some exclusively online retailers like Amazon.com. However, the varieties at some of these locations are somewhat limited compared to other pillow types. The average cost of a feather pillow is between $25 and $50. On the other hand, the average down pillow costs between $70 and $100, while the cost of the average down alternative pillow costs rests between $20 and $30. Feather pillows which have higher down concentrations lean towards the expensive side than pillows that are made with 100% feathers, but this is not always the case. Most feather pillows must be dry cleaned, which makes them costlier to maintain than other models. However, some models are machine washable. 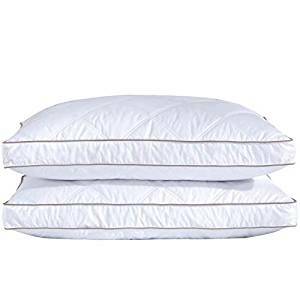 These pillows are fairly lightweight, three pounds or less in most cases. Price:This is the best cheap pillow option available on the market. Some of the best feather pillows can be found online for reasonable prices. Keeping in mind that they can last for up to 10 years, the lifetime value is good. Lifespan:In comparison to other pillows, this model is relatively hard wearing and will last for a longer period of time before you feel the need to replace. Sleeping position:Because they are soft and fluffy in nature these pillows are malleable, meaning they can be easily shaped. Therefore, these are considered to be good all-rounders, but these fit best as a stomach sleeper pillow. Easy to shape:For some people, it is important for the pillow to have the ability to mold and scrunch into various shapes or height. These are the best option for them as these are flexible, easy to mold and shape as you please which is great for those who like a custom feel. Sleeps cool:These pillows, unlike memory foam properties sleep cool. This means that when you are asleep, the body heat that radiates from your head and upper body, doesn’t get trapped or retained in your pillow; instead, it is released effectively which then allows the surface temperature to remain normal. Heat dissipation and temperature regulation is an often-overlooked factor which is influenced by the materials used manufacture. Pain relief:These pillows have lesser support levels when compared to the likes of natural latex pillows or the more affordable memory foam pillow. Those who suffer from various upper body pains, especially in the shoulders, the feather types aren’t proven to be the most popular option. Extra poke: While the cotton covers are resistant to it, but occasionally especially in the cheaper versions, you may get the odd quill or two pokes through. Though the quills will not cause you harm, it can be annoying at times. Get a good night’s sleep with this soft goose down pillow. 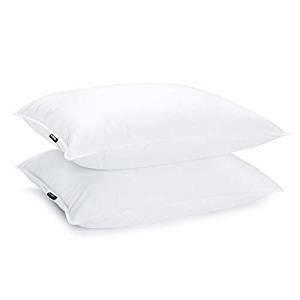 Constructed with a 550-fill power white goose down and 100-percent cotton covering extremely fine thread count, these high-quality pillows will help you get a restful night’s sleep. These king-size pillows also have the advantage of providing a wide variety of choices for decorative cases. This goose down pillow is also made to be hypoallergenic, which makes them ideal for someone who has allergies. This goose down pillow is made up of 100% white goose down. It comes in a variety of sizes, and it is particularly soft and comfortable. The material of the cover used on this is 100% cotton, and it comes with 400 thread count. The product itself is filled with 29 ounces of white goose down as well as 550 fill power. The price includes one pillow which measures 20 x 36 inches in size. Made in the USA, this pillow makes use of the highest quality of ingredients. The comfort brought by the product is truly substantial, and the plush appeal lends a soft, cloud-like sleeping sensation that’s worth taking into consideration. This pillow is designed to last for a long period of time. Pillow can be fluffed in the dryer for a faster fluff process. This model of a luxurious goose down pillows is perfect for the side or stomach sleeper due to their large size and the soft support they offer to users. This is the pillow that started it all. Down and Feather Co. has over 100 years of pillow making and design experience under their belt. Trace the Down and Feather Co. Original Feather Pillow back to your childhood memories, like the one at grandma’s house, soft and comfortable. Markedly old fashioned, this pillow is filled with premium quality 100% Hungarian goose feather which has been bundled up in an old-fashioned blue and white striped cotton shell and sealed using the original knife-edge stitching. This pillow is extra firm, withstanding moldability while providing a level of support. The Standard feather pillow has been stuffed with 30oz of premium quality Hungarian goose feather and bundled in an old style blue and white cover which has 220 thread count and is 100% cotton. The stitching featured on the pillow is an original knife-edge stitching. This all feather pillow is hypoallergenic, making it suitable for sensitive people. The use of high-quality Hungarian goose feather means that fewer feathers will poke you during the night. The pillow requires some time to break in to become similar to the very soft pillow you might be replacing. This pillow is the perfect fit for the side and back sleepers. Feathers sleep a lot firmer under compression, which means that resting your head on them provides you with more support than a similar density down pillow. Rolling onto your back does not impact the level of support, it remains the same as the feathers compress under your head. Sliding the pillow down your neck and just on top of your shoulders will allow the pillow to mold itself more around the neck than your head for additional support. These down pillows from Wenersi offer different levels of fill weight to customize the perfect sleeping experience. The people at Wenersi select the suitable weight and a loft for all sleeping positions which is perfect and comfortable, a good choice for you and your family. These pillows are well packaged and suitable for gifting. This natural white down pillow will add an element of luxury to your bedding. 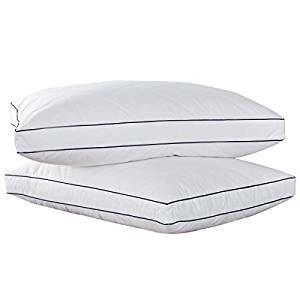 These pillows feature 100% cotton down-proof cover, which is dust mite, mold, and mildew resistant. This model features silver ribbon piping which brings a fresh feeling and is made to cater to any type of décor in your room. The pack includes pillows with 20×36 inches dimensions, weighing 42oz and stuffed with 85% goose feather with 15% white goose down-blended. The pillows have no crunchy feathers. The pillows are treated with Ultra-Fresh Treatment which is technology which provides antimicrobial solutions which enhance product freshness, cleanliness, performance, and longevity. This means that these pillows have a freshness and a long lifespan, combatting bacteria, mold, mildew, and fungi. The pillows are treated with Ultra-Fresh Treatment which is technology which provides antimicrobial solutions which enhance product freshness, cleanliness, performance, and longevity. This means that these pillows have a freshness and a long lifespan, combatting bacteria, mold, mildew, and fungi. The pillows need to be patted flat, fluffed gently to make the down fully stretch. This model has undergone a 6-step procedure of down-feather washing, sterilization and disinfection lines, which means that the down is extremely clean and sterile. The pillow is anti-allergy and chemical free, making it the perfect fit for the people with allergy. Some pointers include using a pillowcase to keep the pillow clean and regular basking in the sunshine which will keep the pillow revitalized and refreshed. It is recommended professionally dry clean the pillows. The pillow has a medium support level, that is firm and comfortable. These pillows will provide amazing levels of softness and comfort, so much so that all designs are engineered to provide the deepest and most restful of sleep. These pillows feature unique double layered fabric design which is made to cancel the prick feel of feathers and be breathable and healthy. The pillows provide gentle support that ensures a good night’s sleeping experience for all kinds of sleeping positions, such as side sleepers, back sleepers, and supine sleepers. Getting a good night’s sleep needs the perfect accomplices such as the softest pillows, mattresses, and covers. Here, at Aikoful, the company has you covered in terms of pillows, providing you with the softest, high-quality pillows which guarantee a good night’s sleep with pillows that are firm yet soft, mouldable and comfortable. 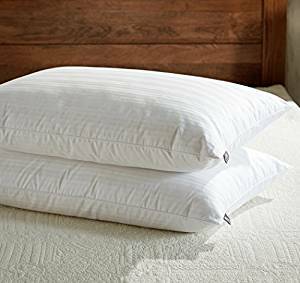 These pillows are categorized as ‘Soft Queen’ which are 20 by 28 inches, stuffed with 85% hypoallergenic white goose feather and 15% white goose down. The pillows ring in at 32 ounces and mold around your head and neck gently while sleeping. Using these will make your home a healthy place. 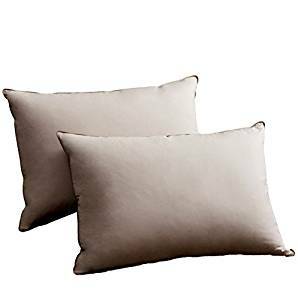 These pillows also feature fine needle stitching which makes them durable, grey piping attached to the pillow gives the pillow a beautiful finish and prevents the down and feather from shedding. 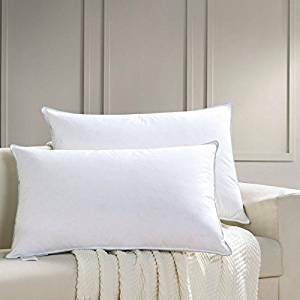 These pillows feature breathable, eco-friendly and allergy-free cotton fabric which has been treated with certificated Ultra-Fresh protection which won’t irritate your skin. The stitching also lends to the durability. To clean them dry-cleaning is recommended. It is also a good choice to use pillowcases. These pillows have been made to feel comfortable due to the use of light and soft down clusters and feathers. They come in 2 different sizes with 2 different loft levels meet you any need, this gives you more choices for any sleep position. The pillows adjust easily when you move around. This Goose Pillow has been designed to give a good night’s sleep. This pillow has been designed to balance support and softness in order to give you the best of both in one item. This pillow is as good as it gets, it gives you ultimate support and comfort so that you can wake up to that 5-star hotel feeling every morning. This pillow consists of 100% cotton. 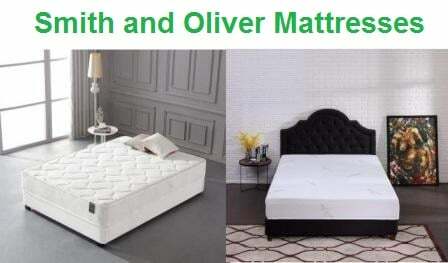 It is featured in a Queen size which is stuffed with high-quality filling. The dimensions are 20″ x 28″ with 33 oz of filling weight. The pillows are designed to fit both, the side-sleeper and the back-sleeper. The pillow has been finished with well stitching and reinforced seams. The pillows feature the finest Jacquard quality 100% cotton and are soft, hypo-allergenic and resistant to dust mites, mold, and mildew. 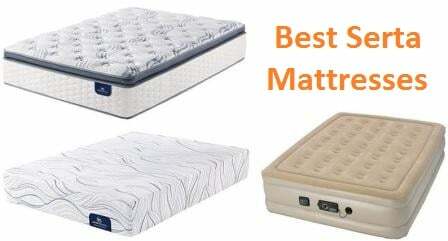 They are made to guarantee a healthy sleep all night long. These pillows are finished off with a decorative piped edge and a unique double layered fabric design to which reduces the likelihood of feathers poking you or crunching at night. The 300-thread-count damask stripe shell is extremely soft and silky to the touch. Moreover, the fabrics are double-stitched, down proof and treated to be free of harmful chemicals and odor. These pillows can be taken care of easily, requiring machine wash in a gentle cycle with cold water and simple sun or tumble drying. The pillows feature the finest Jacquard quality 100% cotton and are soft, hypo-allergenic and resistant to dust mites, mold, and mildew. They are made to guarantee a healthy sleep all night long. They provide excellent head and next support. They are made for the back and side sleepers. These pillows are shipped in a compressed packet and require gentle patting and airing to recover their full loft. They make good gifts for friends. Getting a good night’s sleep needs the perfect accomplices such as the softest pillows, mattresses, and covers. Here, at puredown, the company has you covered in terms of pillows, providing you with the softest, high-quality pillows which guarantee a good night’s sleep with pillows that are firm yet soft, mouldable and comfortable. The cover shell of the pillow is 100% Cotton. Weighing at 32oz, the pillow has been stuffed with 85% Goose Feather and 15% Goose Down. The pillows are of high-quality, recyclable and environmentally friendly. The dimensions of the pillow are 20 by 26 inches. This product contains two pillows that have been vacuum packed and rolled in a PVC bag for shipping purposes. The products have been certificated by Oxipower. The stuffing of this pillow products has been selected and disinfected diligently. The Down and feather chosen are odorless and lightweight from Siberia. The pillow covers can be easily removed and washed, they help to guard you against allergens and prolong their lifespan. They offer natural support and comfort makes the pillow mold to the head, neck, and shoulders. 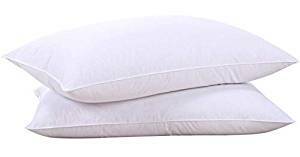 The pillow features a twice layered cotton shell fabric and a plush polyester peach skin inner layer which is medium thick and designed to avoid pricking and poking of feathers through the fabric. This product has been made for back and side sleepers. This product from Homelike Moment is plush, soft, and extremely dreamy. These pillows have been made to ensure you wake up feeling refreshed and do not experience any neck pain. This medium-firm pillow is tailor-made for the side and back sleeper, doubling as cushioning and supportive at the same time. These pillows are made to make your sleeping experience soft and cozy, while also being the perfect fit for sitting up and reading in bed. These pillows have been made in the USA with a natural filling. The inner chamber of the pillow is filled with 90% White Goose Feather and 10% White Goose Down. This Goose Down Pillow perfectly balances the combination of being supportive and soft. The pillows have been double stitched. The dimensions of the pillow are 20 by 28 inches. They are easy to take care of, they are both machines washable and dryable. However, it is recommended to have them dry cleaned or professionally laundered. The pillow is hypoallergenic, it has been double layered to be down-proof, dust mite and allergy resistant. All raw materials used in the pillow are RDS certified. The cover is of 100% pure cotton and is infused with down-like micro-fiber to deter to the pricking feel of the feathers. The pack includes two pillows which are ideal for the side and back sleepers. The outer cover of the pillow consists of 100% Cotton. The stuffing of the pillow consists of 95% Siberian Grey Goose Feather and 5% Siberia Grey Goose Down. These imported pillows are of high quality and medium support pillows which are recyclable and environmentally friendly. The pillows are thick but comfortable, offering luxurious comfort throughout the night. They also feature detailed, beautiful double diamond lattice quilting cored brown piping, and a double layered fabric design to avoid any poking and pricking from feathers. The pillows have been stuffed with 37 oz. goose feather down. The dimensions of the pillow are as follows: 18″*26″*2″. The pillows are hypoallergenic pillow making them fit for people with allergies. The feathers also feature box stitching which helps avoid shifting of inner filling. The pillow covers can be easily removed and washed, they help to guard you against allergens and prolong their lifespan. All the products follow the RDS protocol and have been certificated by Oxipower twice. The product stuffing has been selected cleaned and disinfected carefully. The Down and feather used in the pillows are odorless and lightweight from Siberia. They offer natural support and comfort makes the pillow mold to the head, neck, and shoulders. This pillow is meant for the back and side sleepers. This product from Homelike Moment is plush, soft, and extremely dreamy. These pillows have been made to ensure you wake up feeling refreshed and do not experience any neck pain. 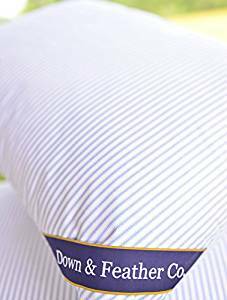 This Down Pillow is of a standard size and has been filled with 90% White Goose Feather and 10% White Goose Down making it extremely soft and comfortable. This pillow is hypoallergenic, made with 100% Hypoallergenic plush microfiber fabric. It has also been double layered to protect the pillows from dust mite and allergies. The pillows are also down-proof. The pillows also feature a gusseted edge, which helps the down to reach a higher loft which makes them comfortable. The blue piping and strip embossing make the design element pop. The package includes 2 pack standard pillows with 18×26 inch dimensions and a 1″ gusset. All raw materials used in the making have been carefully selected, the feather and down are RDS compliant. They are easy to take care of, they are both machines washable and dryable. However, it is recommended to have them dry cleaned or professionally laundered. This medium-firm pillow is tailor-made for the side and back sleeper, doubling as cushioning and supportive at the same time. These pillows are made to make your sleeping experience soft and cozy, while also being the perfect fit for sitting up and reading in bed. The goose feather pillow balances softness and firmness which ensures maximum head and neck comfort. This is meant for the back and side sleepers. This product from Peace Nest is plush, soft, and extremely dreamy. These pillows have been made to ensure you wake up feeling refreshed and do not experience any neck pain. The pillow’s outer shell consists of a 100% cotton cover with 230 thread count. The inner shell has been stuffed with 95% Goose Feather and 5% Goose Down for the best possible sleeping experience. The pillow is of medium density which strikes the perfect balance between softness and firmness making the pillow a soft cloud to rest your head on with its plush stuffing. The pillow is of standard size which is of the dimensions 18″ x 26″ + 2″ and the inner filling of the pillow rings in at 37 oz. The pillow has a hypoallergenic shell which has been made to prevent the build-up of unwanted allergens, which in turn provides a restful and comfortable sleeping experience for allergic sleepers. The hypoallergenic case also makes the pillows more durable. Using additional pillowcases for storage will prolong the lifespan of the pillows. They are also easy to take care of and maintain at home, it is suggested to use a large capacity washer, and machine washes with cold water using a gentle cycle as well as a mild detergent. Do not use bleach. At end of the complete cycle, reset to normal spin dry cycle for maximum water extraction. The pillows should be dried at low temp tumble dry in the large capacity dryer, make sure to not overload the dryer. The pillows may also be dry cleaned or professionally laundered. These pillows have been made to make sleeping and resting deep and sweet. Resting on the plush and soft pillows will ensure that you wake up refreshed. The premium material used in its making makes the pillows soft, comfortable and plush. Thee hypoallergenic cases also make sleeping comfortable for allergic sleepers. This pillow has been made to be suitable for all kinds of sleepers, ranging from side or back or stomach. All sleeping positions are comfortable and enjoyable. This product from L Lovesoul is plush, soft, and extremely dreamy. These pillows have been made to ensure you wake up feeling refreshed and do not experience any neck pain. This pillow has been designed scientifically with three chambers in the pillow to give you the ultimate, best restful sleep. The outer chamber of the pillow is filled with 100% goose down and inner chamber fill 90% goose feather and 10% goose down. The outer cover of the pillow is made up of 100% Egyptian cotton, which is comfortable and cozy. The pillow is of queen size with the product dimensions at 20″x28″. The pillow also features some design elements with 1cm wide stripes, with the distribution of stripes highlighting a sense of graduation. It is also lined with a 0.1+0.3 stitching line on the edge double protect fill leakage. The pillow has been finished off with an exquisite and elegant silvery grey piping. The silvery grey piping and the stitching line on the pillow makes the pillow durable. 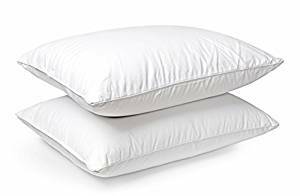 It is recommended to use a pillowcase to protect the pillow and prolong its lifespan as it helps to avoid any friction between the down pillow and hard objects, so as not to cause feather and down overflow caused by wear and tear. These pillows are not suitable for machine washing as it will damage the feather and down and reduce the lifespan of the pillow. The triple chamber featured in the pillow makes the down & feather filling comfortable, striking a balance between the softness of down and support of feather. The Egyptian cotton used is a breathable fabric, designed to give you a soft, plush, comfortable and unique experience. The pillow has been tailor-made to give you healthy sleep. The white goose feather ensures enough firmness, at the same time, white goose down make pillow feels soft. This goose down neck pillow is suitable for the stomach sleeper and back sleeper. This is because it can keep the neck in a neutral position while sleeping on your back and it can cradle the head comfortably when sleeping on your stomach. This product from JA Comforts is plush, soft, and extremely dreamy. 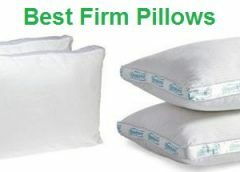 These pillows have been made to ensure you wake up feeling refreshed and do not experience any neck pain. These feather pillows are of the standard size 28″ L x 20″ W, and the filling of each weighs in at weight 37 OZ. These down feather pillows have been lined with four layers of fabric technology, and two of the layers are 100% cotton fabrics. These are ones that will be in close contact with the skin, they will prevent any irritation and are strongly down-proof. The inside two layers are of 100% polyester fabrics which are also down-proof. The four-layer technology has been used to completely avoid the tingling sensation. The filling of the pillow consists of 95% grey duck feather and 5% grey duck down. 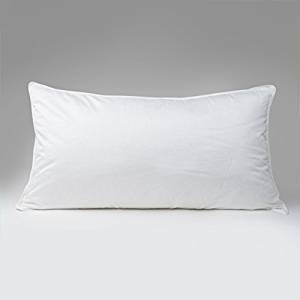 The filling of this pillow has been naturally captured, washed with disinfectant and undergone high-temperature sterilization. The pillows can absorb moisture, are breathable and fluffy, and also protect cervical vertebra. The pillows have been made to be anti-mite, improving their lifespan and sleep. They are appropriate for all four seasons. The pillows are easy to take care of and come with a 3-year warranty. The pillows feature a 100% cotton cover which deters any likelihood of irritation and has strong hygroscopicity. The dry and breathable feather pillows are filled with natural duck down, which has been sterilized and is hypoallergenic. The pillows are dust mite resistant and the duck feather filling has no smell, is antistatic and has no heavy metal. The pillows are soft and comfortable. The pillows are suitable for the back sleepers, as they provide the most comfortable side sleeping for neck and head. They also cater to the side sleepers, ensuring a comfortable and restful sleep. Getting a good night’s sleep needs the perfect accomplices such as the softest pillows, mattresses, and covers. Here, at Palawran, the company has you covered in terms of pillows, providing you with the softest, high-quality pillows which guarantee a good night’s sleep with pillows that are firm yet soft, mouldable and comfortable. These imported pillows feature a cover made up of 100% cotton. The material used in unique in its softness and the comfort it provides. The cotton cover used on the pillows at Palawran makes them soft, natural and hypoallergenic which makes them the softest and comfortable pillows available. 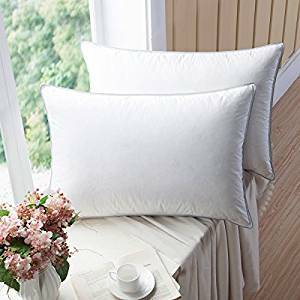 The filling of the pillow is also creative, as it features the use of natural goose feather and microfiber filling are which is effective for elevating fluffiness, support, and elasticity, keeping the shape of pillows easily. These Palawran feather pillows have been made to lull you into a tranquil, restful sleep. These pillows have been made to make sleeping and resting deep and comfortable. Resting on the plush and soft pillows will ensure that you wake up refreshed. The premium material used in its making makes the pillows soft, comfortable and plush. This product consists of a twin pack feather and down blended pillows with the dimensions 20 by 28 inches. The pillow cover of the made of 100% cotton. The pillows feature a unique design with a lining of 40gsm non-woven fabric to which gives a makes sure that there will be no down leakage, making the pillow more comfortable and mouldable to fit the human body, also effectively preventing the filler from leaking. The use of hypoallergenic material makes the pillows last for a long period of time as it makes them dust and mite resistant. The lifespan can also be prolonged by the use of pillow covers. These pillows have been made to make sleeping and resting deep and comfortable. Resting on the plush and soft pillows will ensure that you wake up refreshed. The premium material used in its making makes the pillows soft, comfortable and plush. The hypoallergenic material used in these makes them suitable for allergic sleepers. These luxury pillows are meant for the back and side sleeping positions. This product from Sleep Factory is plush, soft, and extremely dreamy. These pillows have been made to ensure you wake up feeling refreshed and do not experience any neck pain. This pillow has been made with 550 Fill Power down and a 100% dual-layered premium cotton fabric. The fabric has been tightly woven fabric and features a unique tested TSF protection liner which will work to keep the feathers and down in place and prevent feathers from poking and down from leaking. 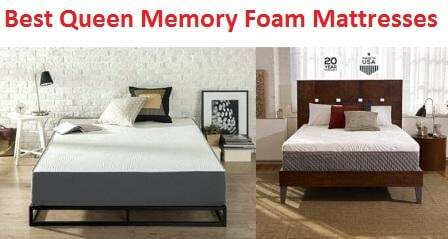 This bedding product from Sleep Factory includes a limited lifetime warranty. The team at Sleep Factory firmly believes that the level of support, coziness and the lifespan provided by this product is unparalleled. If for any reason the customer needs assistance with their pillow, Sleep Factory has a team of honest and friendly customer support agents ready to help and ensure your 100% satisfaction. 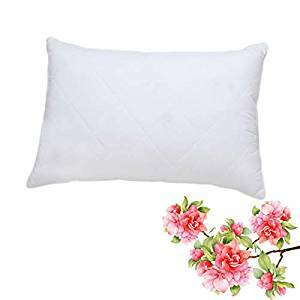 This pillow has been made to provide continuous comfort and support to your head and neck, with the perfect ratio of goose ‘Feather and Down’ that has been stuffed in the pillow. The tested formula makes sure that the pillow is supportive with a luxurious hotel grade fluffiness. This pillow is hypoallergenic. The filling undergoes a rigorous cleaning process and the cotton material is of ultimate high quality, which makes the product suitable for allergic sleepers. Getting a good night’s sleep is a priority for every healthy individual. Having a lumpy pillow, mattress or a cover can seriously hinder your sleeping health. It is important to have good homewares, especially pillows to get a restful sleep. 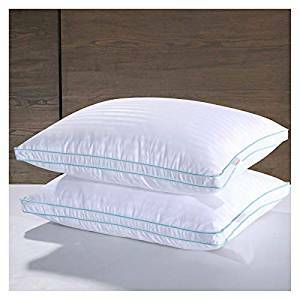 It is important that the pillows aren’t too firm or too soft, and offer the perfect amount of support to prevent any neck, shoulder, back or head pain. 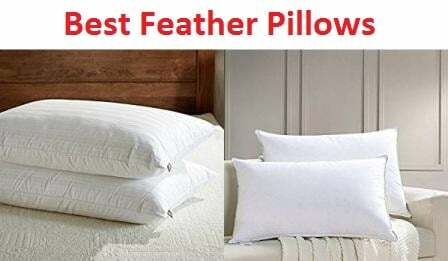 This guide outlines the main features of the best feather pillows available on the market alongside their advantages and disadvantages. Considering the information provided, and factors such as design and material, comfort, durability and target audience, any decision regarding pillows will be informed and educated. Without further ado, delve into the world restful sleep. Happy shopping!